The manga chronicles the time before Mashiro and Takagi met. 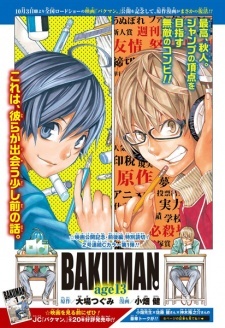 The chapters were released to commemorate the theatrical opening of the live-action Bakuman. film. They were collected in the artbook Eiga Bakuman. Obata Takeshi Illustration Works (映画バクマン。 小畑健イラストワークス) which was published on October 2, 2015.